I am sorry I have been MIA for a while. I am working on a big project (a new Cd) and it is consuming all of my time. I will be announcing it May 7th, so stay tuned! 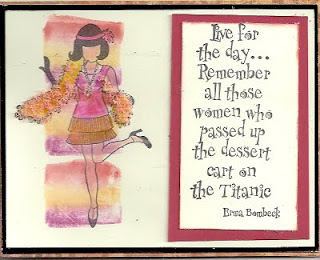 In the meantime, I thought I would post this little card for today. 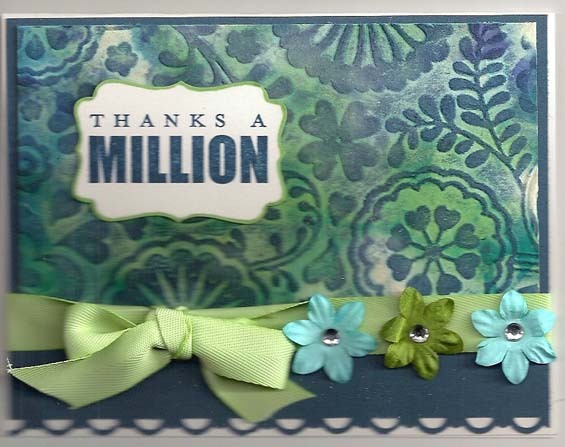 This card uses the Tye-Dyed Texture Technique from the Emboss or Die CD. I am sorry that the scan isn't great, but since I have already sent this to someone, it is the best I can do with it now. 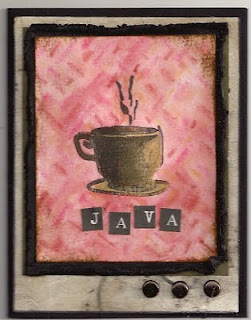 I needed to make a card representing the letter J -- and all I could think about was Java. It was actually the only word that I could think of using the letter J! While I was making it, I was thinking of Hetty Sanders the whole time -- she loves her coffee (we are kindred souls in that regard). 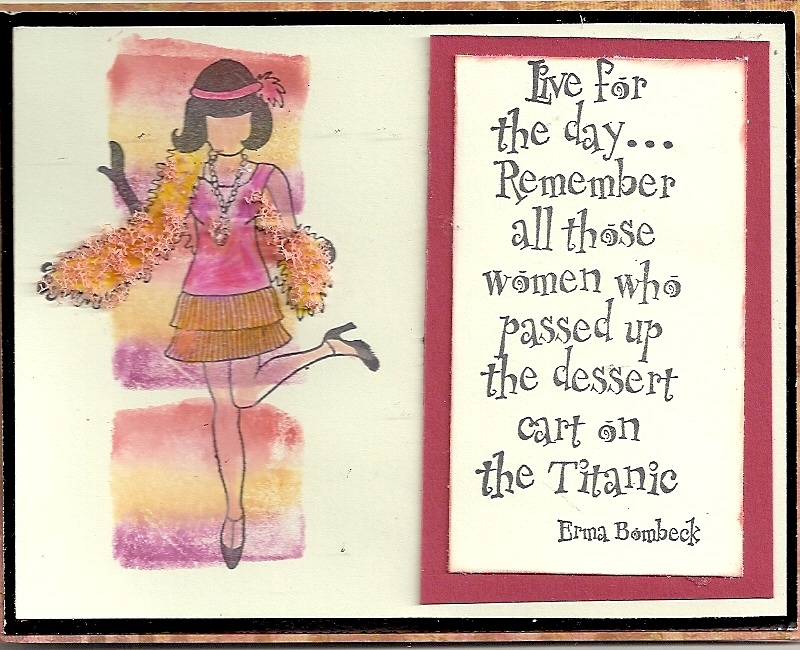 So this morning, while sipping my own coffee, I thought I would share this card. The background uses the Blended Blotches Technique from the April 2011 issue of the Technique Junkie Newsletter. I layered that over a piece of Torn Paper Frames (December 2008 TJNL). That piece is layered on a piece of walnut colored paper that I LOVE. I made a wonderful discovery when I made this -- I used Paper Temptress Vintage Silver Lustre Paper and rubbed Distress Ink over it -- I have to tell you, this paper is exceptionally beautiful in real life. I will be coloring all my Lustre paper like that from now on! Stamps: Club Scrap; Cardstock: Paper Temptress. This fun little card uses the Foam Stamping Technique from the April 2011 issue of the Technique Junkie Newsletter. Stamps by I Brake for Stamps. I don't know if you can see it, but the Boa around my party girl is enhanced with Flower Soft, and her jewels are stickles.